Hello, I have written a trigger that autmatically creates a Task record when a custom object record is created. The Owner of the Task is located through a string of related lookups. Currently, the trigger works, but it is not bulkified. I have attempted to bulkify the trigger, but I got lost is the logic and I could not find a similar piece of sample code to reference. Can someone point me in the right direction or give me some guidance. what are the Lightning components and where we can use Lightning?what are the advantage of Lightning components? I have a date time field that when I display in visualforce doesn't always show the correct date. If the time I enter is 4:00 PM or later it displays the next days date. Add to Change Set - Sort by LastModifiedById (CurrentUser) option for developers! And creating Change Set for deploy with browsing within hundreds of items (filtered too!) taking a lot of time ..
it would be a huge improvement for saving time! I have a json string which I want to deserialize and get the values. In developer console I create an object and execute. I get contact=null, postalcode=null & contactnumber=null. pls tell where I have gone wrong? How to run lightning components..??? help with CSS for visualforce? I am a tinkerer at best, and am working on creating a PDF attachment to an email template... and I know almost nothing about CSS. I would like to be able to set a "Table-Fixed" attribute in CSS, but only apply the attribute to certain tables. Is this possible? Also, my CSS is currently "in-line", and I would like to move it to a static resource, what is the proper syntax for adding the table attribut to what is currently there? Thank you so much in advance, I am so close to crossing this project off my list! How to confirm an API version number corresponding to a specified release version? 1. I'm using APIs of version 30.0, then which release notes is useful for me? Spring '14 or any other one? 2. I find that release Spring '15 has something necessary for me, then which API version should I use? 33.0 or any other one? can anyone explain these code lines in a simple English...? I made some changes to Apex class code and all tests come back without a failure. However, when I try to deploy and run the validation, I still get below 75% coverege but there is no explanation. Does anyone know how to resolve this? I need a table with all the custom fields in case standard object. This code does not actuall create a table. what am I missing? Send email to multiple users. I have created a batch apex job and want to send emails to all the team members when the job is completed. Right now, I am only able to send one email. I intend to send emails to all the team members. Below is the class that I have created. Trailhead Formula & Validation (3/3) Issue - My Dev instance missing key APIs/Fields? "To complete this challenge, add a validation rule which will block the insertion of a contact if the contact is related to an account and has a mailing postal code (which has the API Name MailingPostalCode) different from the account's shipping postal code (which has the API Name ShippingPostalCode)." I can't create the missing fields myself, because then the API name would be "MailingPostalCode__c" etc. for custom fields, and that would be wrong. Is my dev implementation flawed somehow? Any idea how I might fix that? What can user do with Mobile Lite? b. View Campaign and manage Campaign Member. c. View Create Edit and Delete Custom Objects. d. Search for record that was not previously downloaded to a mobile device. I am currently having an issue displaying data from newly added fields within my php page? Missing data is the in the image and where shown on webpage. Iam trying to get populate field values into popup page while cliking on formula field on custom detail page. and also values not populating popup fields. Sfdc.xdomain.Caller in integration.js (line 350) returns object while running in lightning console app it is null. I want to show Salesforce related content in custom vf page of opportunity as related list. so I require relationship name for this object. when I see opportunity pagelayout this available as Related content. what is queue alternative solution available in salesforce if i have Mater details relationship with and salesforce doesn't show my custom object in queue creation list. what does Group signifies here because when i search for group it doesn't show me group in lookup window. ie. /services/data/v36.0/sobjects/, what this version is? which version shall i use? I am using this ip 0.0.0.0,255.255.255.255 in my full copy of sandbox org to login at my Home.Is there any problem with this. How to file an issue to Salesforce bugs? Is there way directly contact with developers or some mailing lists? open execute anonymous window is disabled in developer console. Due to this I'm unable to write and execute any apex code. Please let me know how I can enable it. I got few soultions. It was saying that I need to check API enable check box in "Manage User -> User -> System Administraiton -> Administrative Permission" .But I found it is checked. . I am still gettting same error . I am the owner of a sandbox. I just wanted to know, will I get any kind of notification that the project has been donwloaded through eclipse? Visualforce: Displaying A Custom Object's Related List When the Custom Object Is Not Directly "Related"
I'm somewhat under a time crunch, so any help you the community can provide me is greatly appreciated! Thank you so much. I am trying to populate a field in a Visualforce page for custom object using a controller extension. I would like to populate the field with one value if the User Role of the person creating the record is Sales and another value if they are Account Management. I'm not quite sure of the syntax I need to use to accomplish this in my controller. Can anyone assist? Hope evry one doing good. I am new to Salesforce Integraiton. Can some body help me/guide me how to start with. What are the best practises to learn salesforce integration. 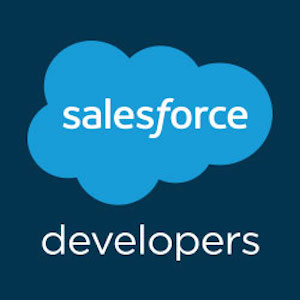 Requesting you all to give me your valuable suggestions to learn salesforce integration easily, also share your examples on salesforce integration. I want to create a tab in salesforce, if i click on that tab it has to call the lightning component which i created that component(along with component app) in developer console.